AMES, Iowa — The agricultural use of Unmanned Aerial Vehicles, or UAVs, will be the subject of an Aug. 27 field day at the Iowa State University Agricultural Engineering and Agronomy Research Farms. “Aerial imagery, including that from UAVs, has the potential to bring back some highly detailed data to fill the gap in our traditional data set that has been lost as equipment, especially combines, have gotten larger,” said Ryan Bergman, program coordinator in the Department of Agricultural and Biosystems Engineering and a field day organizer. 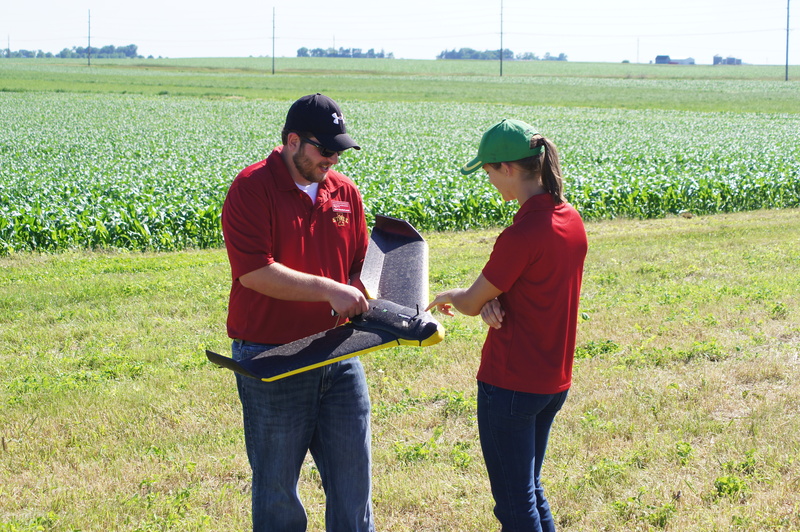 A team of Iowa State researchers that study UAVs will summarize the ways UAVs can be used by crop producers and plan a UAV flight demonstration, if weather permits. Antonio Mallarino, agronomy professor, will talk about the potential use of aerial images for soil fertility management beyond the detection of nitrogen deficiency to define sampling zones for phosphorus, potassium and soil pH. Kristine Tidgren, an attorney with the Center for Agricultural Law and Taxation at Iowa State, will discuss the law and policy surrounding UAVs. UAV vendors will speak about their products. The field day starts with registration at 8:30 a.m. and the program is from 9 a.m. to noon, followed by lunch. It is open to the public at no charge. The farms are located near Boone on Highway 30 on U Avenue, which is scheduled be closed for grading and paving through August. Access to the farms will be from the south only: Exit Highway 30 on V Avenue, proceed 1 mile south to 240th Street, then 1 mile west to U Avenue, then north to the farms. Watch for detour signs. Iowa State researchers go over the mechanical features of a UAV.